The 21 years young Founder, Ben Jeffries had a far from ordinary teenage life which brought him to where he is today. Starting his own company called Breeze at the ripe age of 16, which spurred him on to create Influencer, his current startup. Breeze attempted to advertise through ‘micro celebrities’ which came with a loyal fan base but without the premium price tag. Fast forward to a couple of years post Breeze and Ben has joined Bath University to study a BSc in Business Administration as well as taking part in a placement at Shell. During that time he was shortlisted for the Virgin Media Business “VOOM 2016” Competition and became the winner of Young Startup Talent 2016, where he secured £50,000 worth of prizes. After the incredible accomplishment of winning he made the decision to go onto Crowdcube to secure his first round of funding. Within 24 hours, the £100,000 target was exceeded and within 3 days he hit £152,000 from 139 different investors. Sufficed to say he quit both Shell and Bath University and setup Influencer. Essentially they’re a data-driven platform that connects brands with influential social media creators on Instagram, Twitter & Facebook with high followings in order to make engaging social media campaigns for brands. In short, this is the future of redefining word of mouth. It allows registered brands to access over 1,000 content creators worldwide to use for influencer marketing campaigns. It provides an advanced matchmaking tool, enabling brands to find the exact creators to match their campaign. It shortlists creators by city, age and industry, and uses keywords and mentions to filter them. It analyses potential creators using real-time performance tracking, audience breakdowns, engagement graphs, most popular content and clear location maps. It allows you to speak directly to your chosen creators, review their content and only sign off once you have ensured it is exactly in line with your brand. It ensures you full re-usage rights of any content produced by our creators as part of your campaign, for use in your own marketing activities. Newly based at TechHub @ Campus, Ben has introduced 3 more people to his team in the space of just a month. Initially welcoming Hester Bates, who had previously worked in PR across the health and beauty sector, as Senior Account Manager, soon followed by Logan Leckie and Lauren Tickner as Junior Account Managers, both on placement from Bath University. Influencer have also just (amazingly) signed top Youtuber, Caspar Lee, as their new Chief Innovation Officer. This is such an incredible achievement for the team! Read more here! 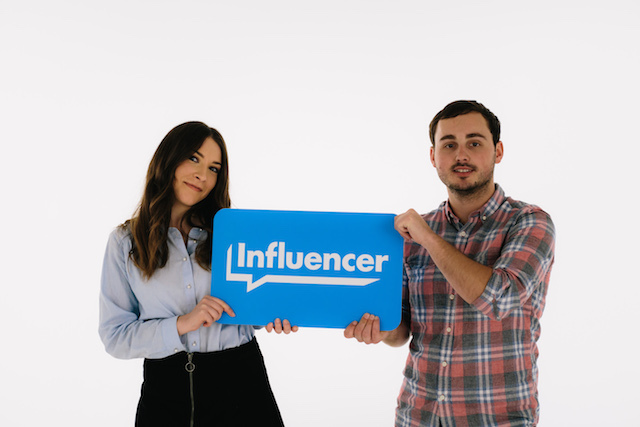 Influencer offer both self service and managed service packages dependent on the level of involvement one may be looking for. For more information on Influencer, check out this link. Wanna be part of TechHub? Then schedule a tour at TechHub London if you are a scale up or TechHub @ Campus if you are early stage. Two startups to join the TechHub community following BT’s Innovation Lab programme designed to encouraging open innovation.